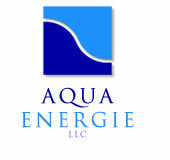 AquaEnergie is an international Technical, Development and Environmental consultancy providing senior-level multi-disciplinary technical, development, commercial and environmental services to the hydropower and renewable energy industries. Our staff have extensive project development experience and an impressive global reach, with direct project experience in over 50 countries. This not only brings to our clients a knowledge and experience base that is difficult to match in the hydropower industry, but also a coherent team that has in most cases been working together for over 20 years.